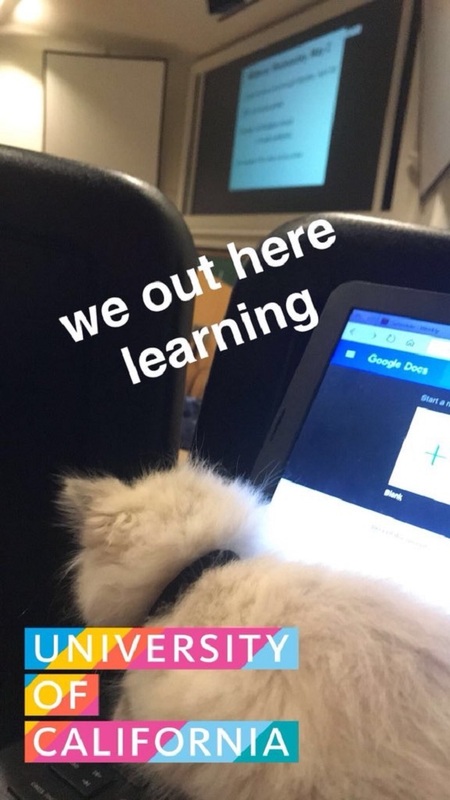 She goes to lectures and sits on her owner's laptop. 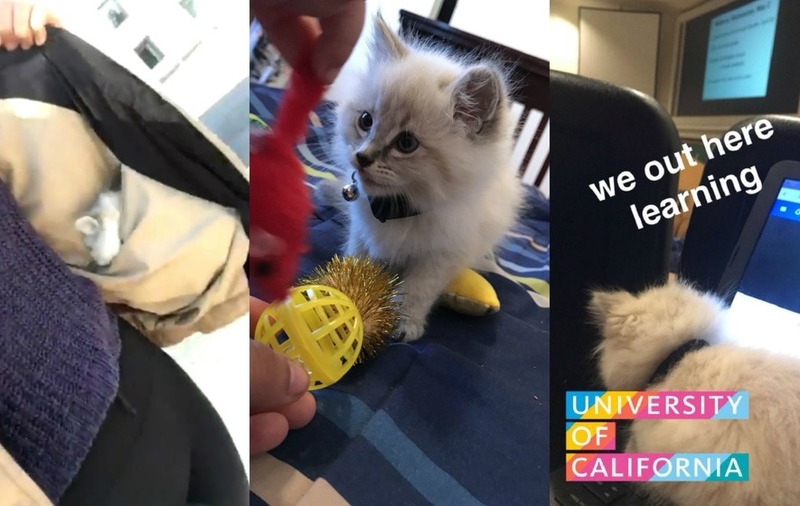 This is Zel – probably the most adorable kitten you’ve ever seen and without doubt the perfect pet for a stressed-out student. Zel is only two months old and she goes everywhere with her owner Leslie, a student at University of California Santa Barbara. And yes, that means she even attends lectures – that’s where she was heading in the video that quickly went viral on Twitter, gaining more than a million views in less than 16 hours. Leslie’s only had Zel for two weeks but, needless to say, she’s already a big hit with the other students. “She gets a lot of love from everyone here, a bunch of stressed-out college students in midterm season love a kitten,” Leslie said.